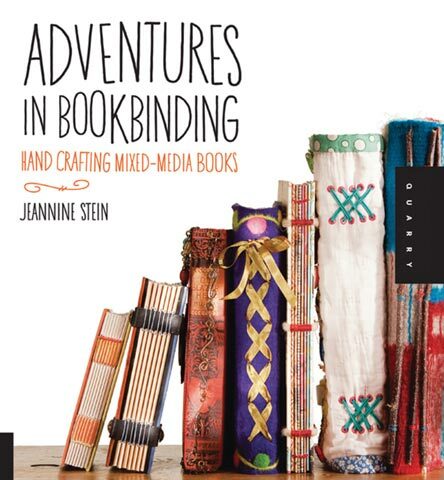 With this 144-page book readers can explore intriguing methods of combining bookbinding with specific crafts such as quilting, jewelry making and polymer clay. It is filled with illustrated step-by-step instructions and photographs that demonstrate how to construct cover pages, create unique bindings and more with a diverse range of media. Each project features two alternate versions with the same binding geared to those with more or less experience. The novice version is for those who have no knowledge of the craft and want shortcuts, but love the look. The expert version is for those who have a great deal of knowledge and proficiency of a certain craft, the master art quilter, for example. For this version, an expert guest artist has created the cover and the author has created the binding.